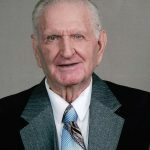 Gerald D. Austin, longtime resident of Hood County went home to rest in eternal peace with our precious Father in Heaven Thursday, April 12, 2018. He was a founding member of St. Frances Cabrini Catholic Church in Acton. He was a retired Gunnery Sgt. in the Marine Corp and a retired postal worker from the Granbury office. He also was a volunteer at Granbury Hospital. Gerald was preceded in death by his wife, Carole, parents, Pat Sr. and Helen Taif Austin, brothers, Pat Jr. and James and sister-in-law Patsy. He is survived by his brother Ronnie, sister-in-law Ruby, sister-in-law Juanita, two sons Jerry, Jr. and Tim and daughter-in-law Diane, former wife Bobbi Jo Glenn, 6 nephews and 2 nieces, 9 grandchildren. A funeral Mass will be held Thursday, April 19th at 11:00 a.m. at St. Frances Cabrini Catholic Church. Reception in Family Life Center and Burial at Holly Hills Cemetery. God has called another marine to guard his Heavenly Gates. Semper Fi. Be the first to share a memory of Gerald.